Warner Bros. Interactive Entertainment have announced that more Mortal Kombat DLC will be developed by NetherRealm Studios. The DLC will be available in the first half of 2016 and will include 4 new playable characters, skins and a new environment. A teaser image was also revealed..
Any idea who these could be? Honestly, I have no idea! They actually look like their backs are facing us, to be honest. Could they be story characters that missed the roster? Baraka, Rain, Bo' Rai Cho appeared in story mode but didn't make the roster. Fans have been asking for these characters. Actually I do think the first silhouette from the left is Baraka. 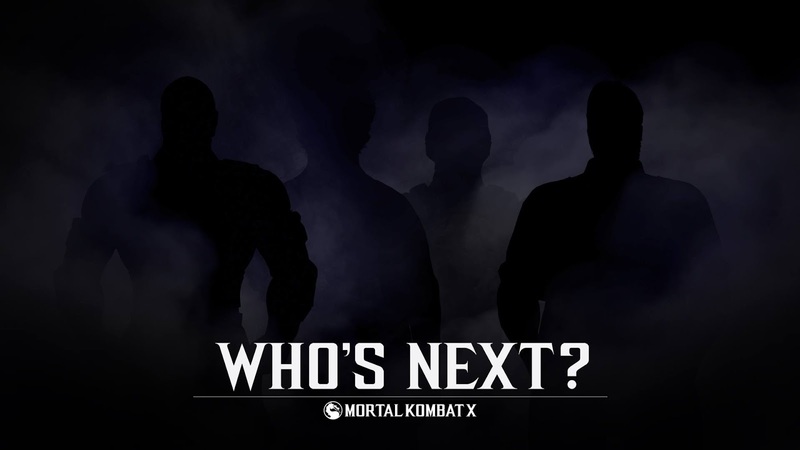 Or maybe some fan favourites who didn't even make it to MKX? Cyrax, Smoke or Noob Saibot are very much missed and it will be awesome to play as these characters considering some of their fates reveal we might never see them in the MK universe again.. Guest characters? Kombat Pack 1 had 2 guest characters from the list of 4 so I won't be surprised to see more Guest Character. Maybe Spawn finally? Hope to see some confirmations soon!